I have over 20 years of professional experience as a Storyteller, Copywriter, Web Producer, Multimedia Designer, and Graphic Artist. My creative work has been published in a New York Times Bestseller thrice, and I most recently authored a supernatural thriller called Under Angels. I also produced the cover design, layout, collateral, and book trailer. Available in both paperback and ebook editions, Under Angels has hit #1 on Amazon. 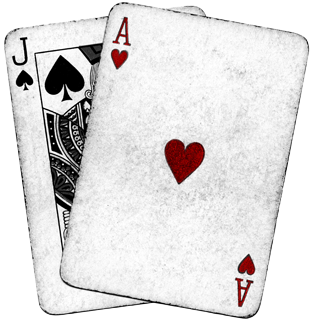 I’ve also written its award-winning screenplay, currently under option. I specialize in taking great ideas and putting them into words, visuals, and other forms of expression. I will take a creative vision — be it mine, yours, or ours — and turn it into an engaging story, an effective slogan, a genius tagline, a smart logo, or a powerful advertisement. As a web and blogging veteran, I place great importance on SEO, clean HTML, accessible layouts, responsive UX, and constantly evolving mobile trends. I’ve been part of the social media landscape since it first appeared, and was published in a book produced by Twitter back in 2007. As an interactive media developer, I’ve produced Flash AS3 banners for Hollywood studios and production companies. Author of acclaimed novel Under Angels, a supernatural thriller set in Los Angeles. Please see http://underangels.com. Independent consultant providing graphic design, copywriting, and web services. Portfolio available upon request. Accomplished interactive multimedia developer and rhythmically driven motion graphic artist. Educated sound designer, drummer, and electronic musician with 20 years experience in MIDI and digital audio. Writer and storyboarder of themed media presentations for Toyota’s annual corporate executive shows. Designer of motion graphics and ad banners with Flash. Builder of the internal CMS for Toyota associates and administrator of online forums. Provider of additional copywriting services for various departments. Produced copy and headlines for all packaging, collateral, advertising, and web. Wrote press releases and news briefs, working exclusively with the CEO to produce company’s 2010 industry book. Managed all social media assets, including Twitter and Facebook. Built new company website using WordPress and MySQL, coordinating Marketing with Legal. Managed registered user database of 55,000+, integrating with BlueHornet for monthly eblasts and promotions. Typography, Information Design, Color Theory, Adobe Suite, Internet Tools. Jace Daniel discusses Under Angels, art, structure, and life. What Lies Beneath? 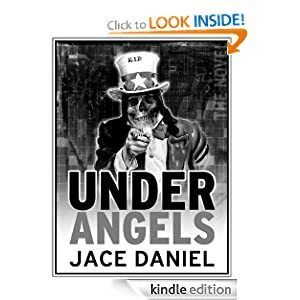 Jace Daniel discusses Under Angels. Aced with Angels: An Interview with Jace Daniel. October 2011 Member of the Month: Jace Daniel, eBook Evangelist.